The mullahs greeted us with all the respect that is due to guests in Pakistan. 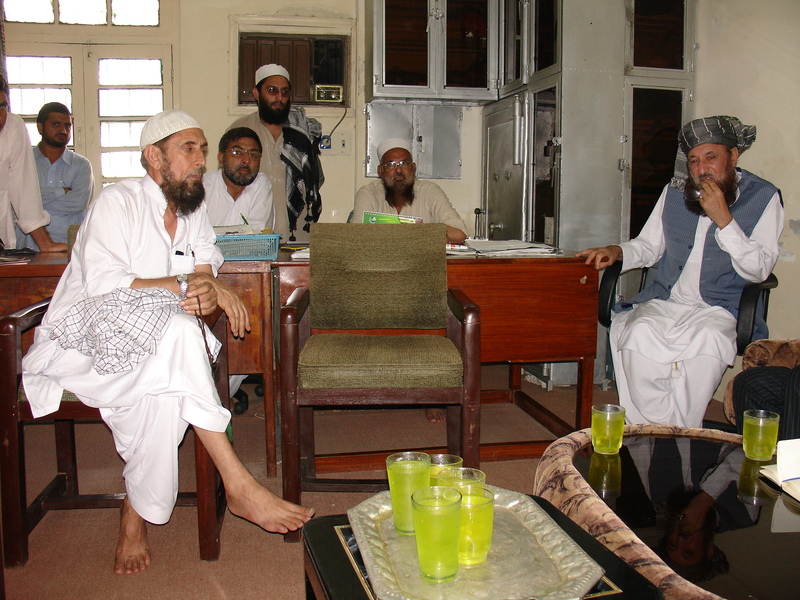 Maulana Sami Ul Haq, leader of the Haqqani Islamic seminary in Akora Khattak, received us in his office. We sat on sofas facing a group of men with beards and bare feet. Students served glasses filled with green lemonade. The school, from which Taliban leader Mullah Omar earned a degree, had become a model of cooperation with Pakistan’s authorities – but only up to a certain point. Asked about new regulations that required the seminaries to adapt a secular curriculum, the men shook their heads. “We won’t accept external control”, Ul Haq said. His school had a tower from where the muezzin called to prayer and an auditorium in which young boys were chanting verses of the Quran. 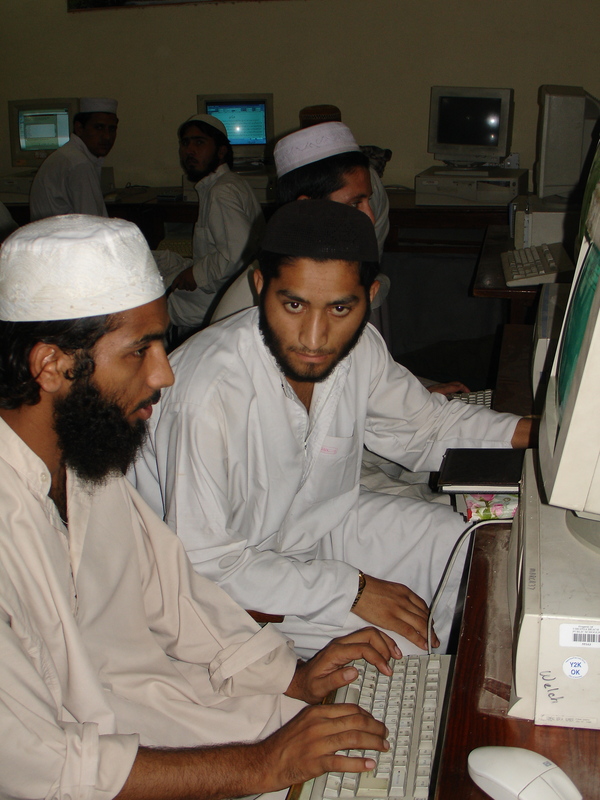 In the IT room, young men with prayer caps turned around from their computer screens as we entered the room. It was the summer of 2006, long before anyone referred to the region around the Hindu Kush as AfPak. But it was clear that the origins of many of Afghanistan’s problems lay in Pakistan. The military government of President Pervez Musharraf had invited our group of experts and journalists from Germany and Poland to demonstrate its resolve in the fight against terrorism. In Islamabad, we visited the offices of the country’s infamous spy service ISI in a villa in a leafy part of the capital. The agency’s PR officer stressed Pakistan’s recent role in preventing a terror plot in London. We also visited a new agency whose purpose was to register the population with biometric ID cards. But experts doubted that Islamabad was ready to cut its ties with terror groups and fanatic religious leaders. I wrote a big page about Pakistan’s ambiguity. Despite the efforts of its PR officials, Pakistan was not a trust-inspiring place. A walk across the market in the border city of Peshawar became an ordeal for the female members of our group – even though we were veiled. Local men not only shot hate-filled glances our way, but even tried to touch us inappropriately. When I left the group in Islamabad to meet civil rights activist Samina Ahmed from the International Crisis Group, our guides knew where I had been. The next morning, me and another female member of our group found little matchbox cars in our purses. We were so freaked out that we left them outside the doors to our rooms at the Marriott Hotel. I regretted not having kept them to confront the Interior Minister Ahmed Khan Sherpao in an interview a few days later with the fact that his government was spying on us. 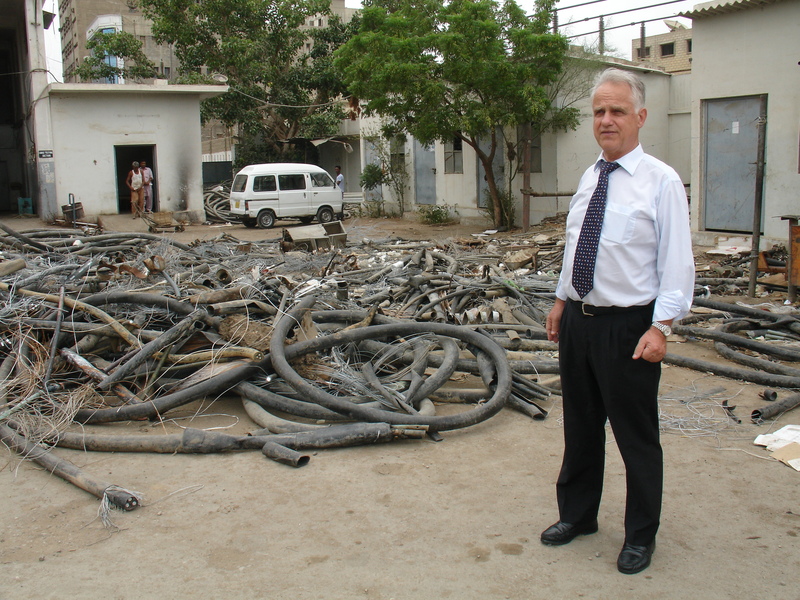 In Karachi, I admired the courage of the retired Siemens engineer Frank Scherschmidt who had taken on the task of cleaning up the local electricity company KESC, protected by four bodyguards. I wrote a profile about his uphill struggle against mismanagement and political sabotage. Less than a year later, he was replaced by a retired army general. This does not mean that Pakistan was not a fascinating country. Unlike Afghanistan, it had flourishing businesses, excellent restaurants and an interesting urban life. Lahore in the West with its historic town center and new shopping malls in the suburbs had the feel of a city in nearby India. 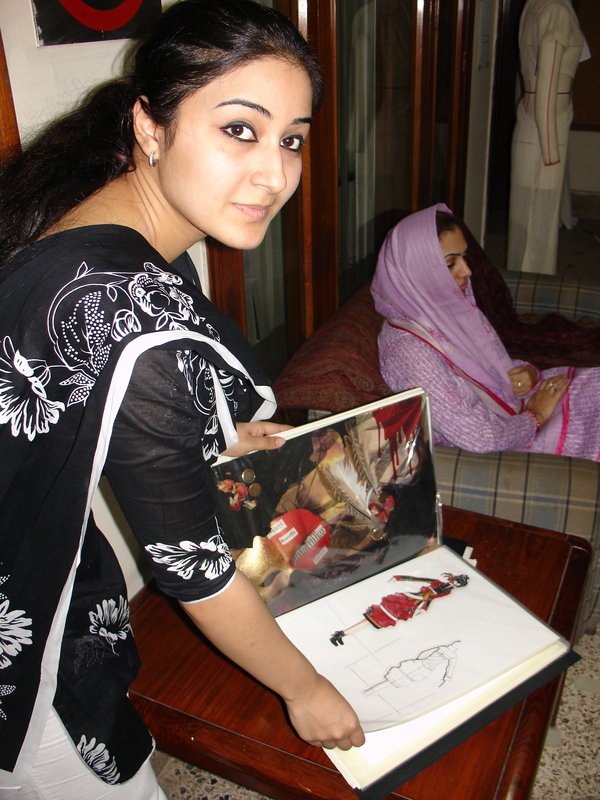 The women studying at the Pakistan School of Fashion Design could not have been a bigger contrast with the young men at the seminary near the Afghan border. In Pakistan, as everywhere in the world, people are people, regardless of lifestyle or ideology. One of our guides, a serious young man, used the bus rides through his country to lecture us about Islam and to warn us that the infidels would go to Hell with the soles of their shoes on fire. But after a few days, he started asking me questions about my life in Germany, and my fellow travelers joked that he had developed a crush on me. 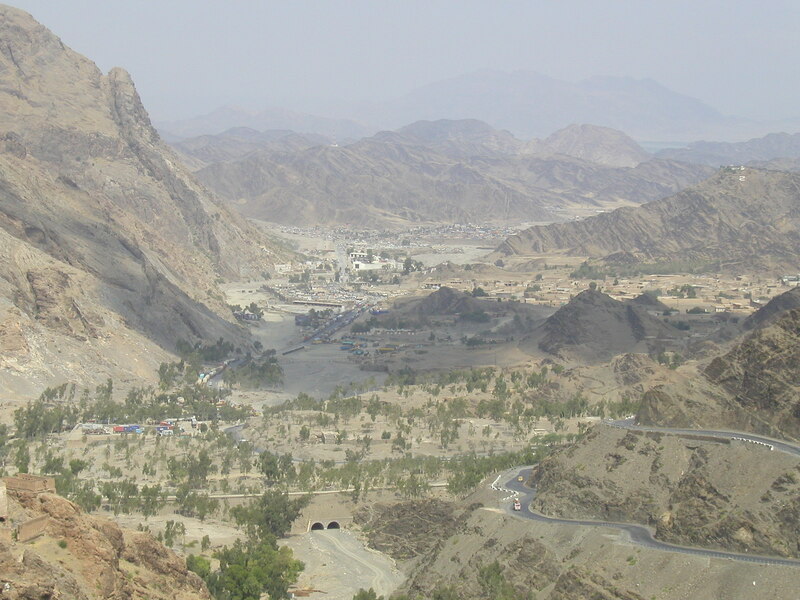 The drive up the winding road up to Michni Post on the Khyber Pass was the visual highlight of our trip. From the platform on the top, we could see into Afghanistan. It was easy to believe – as Western intelligence services did back then – that Osama bin Laden was hiding in these rugged mountains, and I used the scene to describe the futile search for the terror leader. Our guide, as it turned out, was in search of something else. He was looking for a culturally sensitive present to win my affection – and found it in the souvenir shop on the Khyber Pass. Back on the bus he presented me with a brass figurine of Pope John Paul II. This entry was posted in The Five Asia Years and tagged Akora Khattak, FT Deutschland, Haqqani, ISS, Karachi, KESC, Khyper Pass, Lahore, Osama Bin Laden, Pakistan, Peshawar, Sabine Muscat, Sami Ul Haq. Bookmark the permalink.